Patek Philippe’s new Calatrava Pilot Travel Time model for women combines the sporty charisma of a pilot’s watch with the elegance of a 37.5mm rose gold case and chocolate-brown dial. It’s a beautiful vintage-style timepiece that references aviator watches of the 1920s and 1930s. 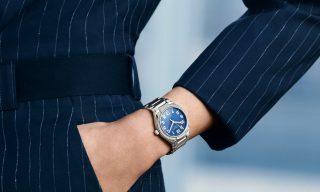 Sure to appeal to all those Amelia Earharts out there, Patek Philippe’s new Calatrava Pilot Travel Time model for women is an excellent choice for globetrotting ladies, combining the sporty charisma of a pilot’s watch with the elegance of a 37.5mm rose gold case and chocolate-brown dial. 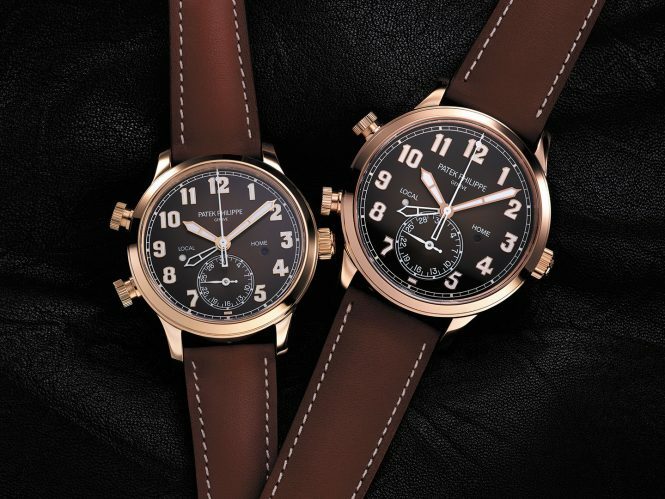 It’s a beautiful vintage-style timepiece that references aviator watches of the 1920s and 1930s through its cathedral-style hands, large gold-applied Arabic numerals, mushroom-style chronograph pushers, and a calfskin strap reminiscent of the harnesses that allowed early pilots to keep their survival kits readily deployable. 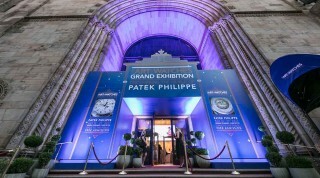 With a second time zone and a local-time date, this watch is also the first self-winding Travel Time model in Patek Philippe’s collection for women. Another addition to the Travel Time lineup this season is a fresh iteration of the Calatrava Pilot Travel Time for men, which now sports a 42mm 18K rose gold case and brown sunburst dial with black gradations. This article originally appeared in the August/September 2018 print issue of DestinAsian magazine (“Time Travel”).